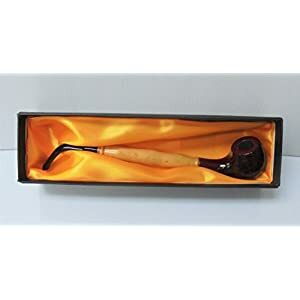 One of the most unusual forms of tobacco smoking pipes with a mysterious name – “churchwarden.” Recently, this tube is gaining popularity again, but smokers who want to acquire it often cannot find enough information. We tried to collect in the article interesting and useful information about this interesting pipe. 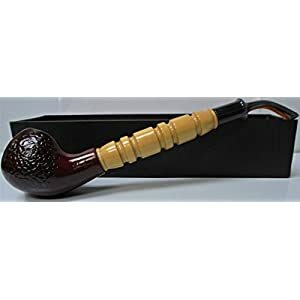 What is a churchwarden smoking pipe ? Strictly speaking, this is not the shape of the tube itself. Each tube with a long mouthpiece can be called a Churchward, regardless of the shape and size of the bowl. The most familiar form of bowls for “churchwardens” is a forge and an apple, but in reality they are absolutely any. So why is the pipe called that? As the name implies, it was the tubes with a long mouthpiece that were popular with churchwardens in England. And here the question is brewing, for what reason did these pipes not take root among the rest of the population, and why did the church elders, all as one, give preference to such overall tubes. In fact, there is no single answer. Therefore, we offer the most interesting versions. In its shape, the tube resembles a cap on a pole — a special device with which candles were extinguished in temples. The duties of church elders just included the extinguishing of candles. There is even an opinion that it was convenient to do this with the tube with the long mouthpiece – they say, why carry two instruments with you if you can do with one. But it was hardly the case – who likes to smoke a pipe with wax inside? A rather funny version – the elders wore clothes with deep hoods, so smoking a short pipe was not very convenient, and it looked frightening – a figure with a face hidden in the darkness, and the smoke was coming down from under the hood. 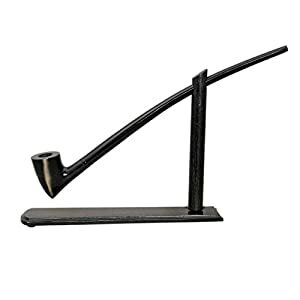 And with Churchward, everything is clear – a respectable citizen is walking and smoking a pipe. But what the Danes write in their blogs. Presumably, one of the tasks of the headman was to sit in front of the pulpit and smoke a pipe while the pastor reads a sermon. 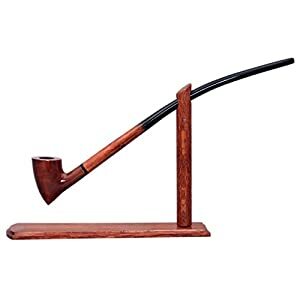 The pastor could not figure out exactly how much time you need to take to the sermon, and finished it every time when the churchwarden was finishing the pipe. In the church at all times disapprovingly related to smoking. 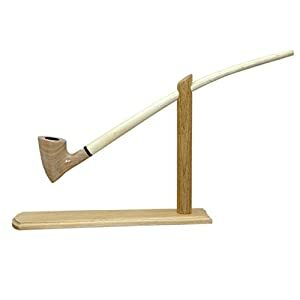 And the churchwarden, in order not to defile the walls of the temple with smoke, smoked out the window, and for this, a pipe with a long mouthpiece could not be more convenient. 5. And finally, among the rest of the population, the tube could not survive due to its size. It is inconvenient to carry it with you – the mouthpiece can break. And the elders are always on the spot, they can safely hang up on the table or stand, and not shove them into their pockets. 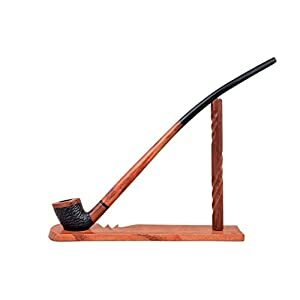 How to smoke churchwarden tobacco pipe ? 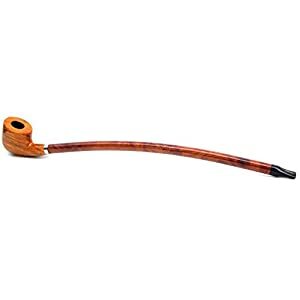 Often, those who have never smoked Churchward suffer with questions: how unlike this pipe is unlike others? In fact, there are no fundamental differences. Is that because of the long mouthpiece smoked cooler and traction easier. But therefore it is easier to burn the receiver, so accuracy in circulation does not hurt. This tube is held in the hand (if you hold it in your mouth, then the mouthpiece will surely deteriorate). The load on the teeth and jaw is removed, and therefore smoking is perceived differently. This is not a pipe that can be smoked on the go, it requires a special atmosphere – comfort and complete relaxation. How to clean the churchwarden pipes? 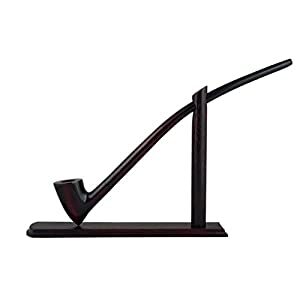 The only thing that can be called specific is the care of the churchwarden smoking pipe. You will need a long brush for cleaning. Now they are not a problem to find, but if they fail, it is possible to contrive. Most often, the tube is simply cleaned with an ordinary brush from both sides. In this case, you need to make sure that in the middle of the mouthpiece there is no cork made of brush and resin. Some craftsmen use guitar string with wadding on it (guitar string can be replaced with thin wire). But be very careful: there is a risk of scratching the channel from the inside. And here’s another way – the most convenient and safe for tubes with long curved mouthpieces, but requiring some skill. A sufficiently thick line should be passed through the mouthpiece canal, and from the mouthpiece make a small loop. You insert the thin tip of the cone-shaped brush into it. Now using the line to drag the brush through the mouthpiece is not difficult. This procedure can be repeated if you feel that one time is not enough. That’s all you need to know about Churchward. As you can see, this tube is not much different from others, so if you like it, take it. 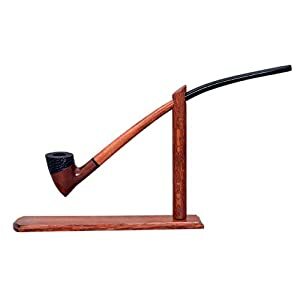 Perhaps this purchase will be fateful and you will become a true connoisseur of the Churchwarden.